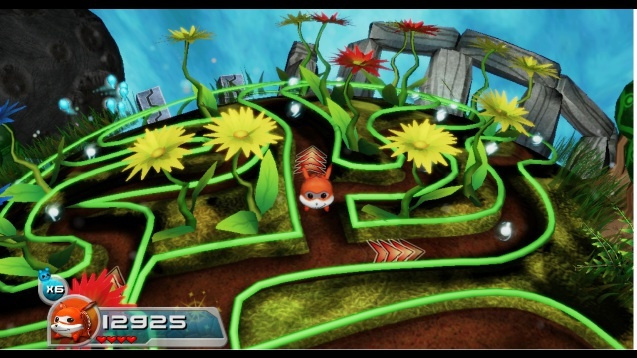 Fuzzy Wuzzy Games is currently developing Armillo, a 3D platformer with levels designed around a set of obstacle courses, and it's expected to roll into the Wii U eShop at some point this year. The developer has now revealed on Twitter it has integrated off-TV play to the current build of the game, while it also offers second screen display functionality. However, it doesn't have touchscreen capabilities just yet. The studio is currently looking into how it can use it in a way that adds more to the game. Hopefully Armillo will retain the off-TV play in the final version. It would certainly be strange if it was removed. We spoke to Fuzzy Wuzzy Games earlier this year, where it reveled the main influences behind Armillo include Super Mario Galaxy and Marble Madness. You can read the full interview here. 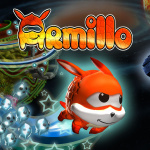 Are you interested in Armillo? Let us know your thoughts in the comment section below. Oh yay news on this game! I am so so excited for this game. I can't wait until we get a release date!! I will read the interview, as when I read the article where they mentioned the eShop games available at Gamescom, the only one I knew about was ShovelKnight. Thing about marble madness is it doesn't work right with anything other than a trackball like the original arcade cabinet had. Yes more news on this game. Seriously i have been waiting on more news about this game. @unrandomsam Hello! Although inspired by Marble Madness, this game plays actually plays quite different. A bit more reflex-based platformer oriented controls and less ball rolling style physics. @WiiLovePeace Thanks for the tweet asking about this question, but just sharing it here for the rest - yes we'll look into optional motion controls. We'll put it in only if we feel that it works well with our current gameplay model. I really hope the game comes soon, I have been looking forward to it. I've been looking forward to this game for a while, the summers almost over and they don't have a release date yet? Whack! We need more games like these out on the market! I love the look of the levels and the textures. The main character seems to kiddie though.....how many levels in this game? @Blue_Yoshi We'll be announcing the release window and a bunch of other stuff in the next couple of days in our twitter account. @Ultra64 Going to be over 20 main worlds + a bunch more content.